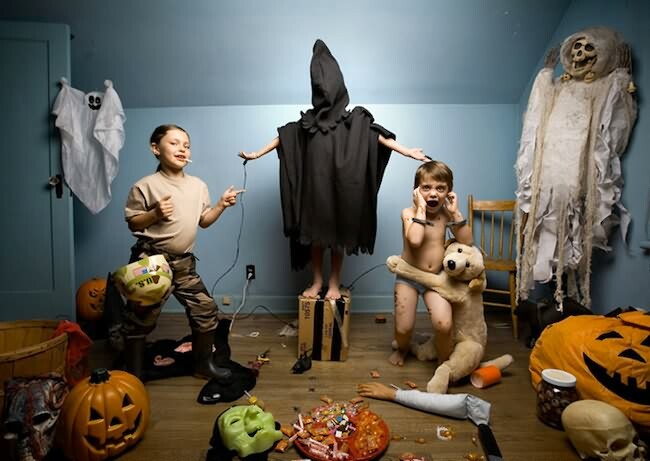 Being a child in today's society can't be easy. 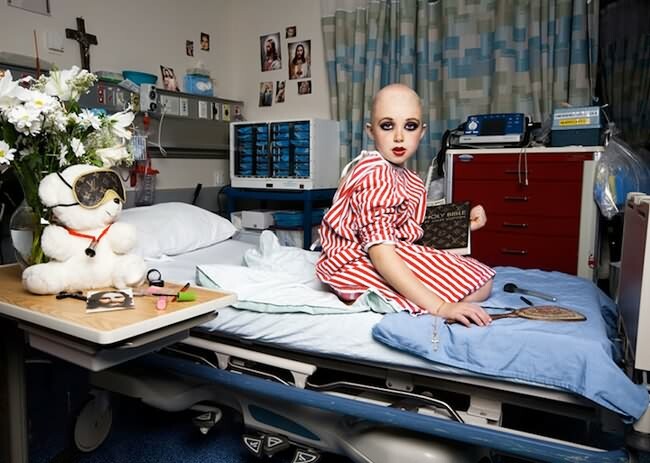 Left and right there are wars raging, and shocking news is pretty much hitting us like there is no tomorrow. 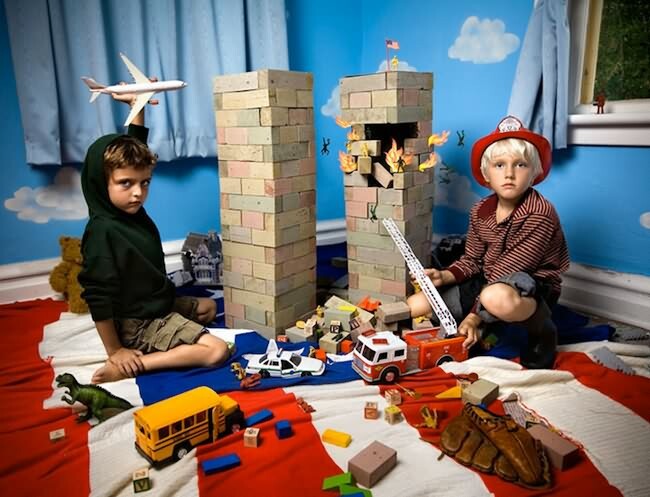 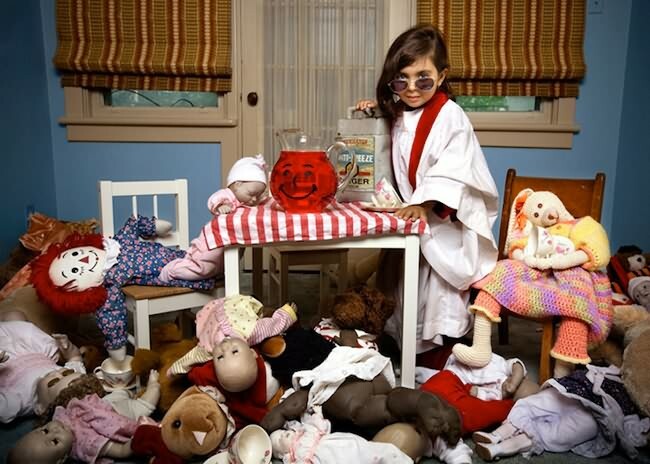 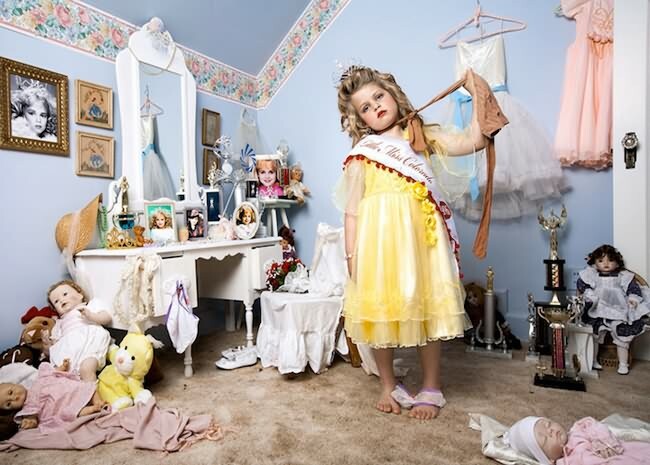 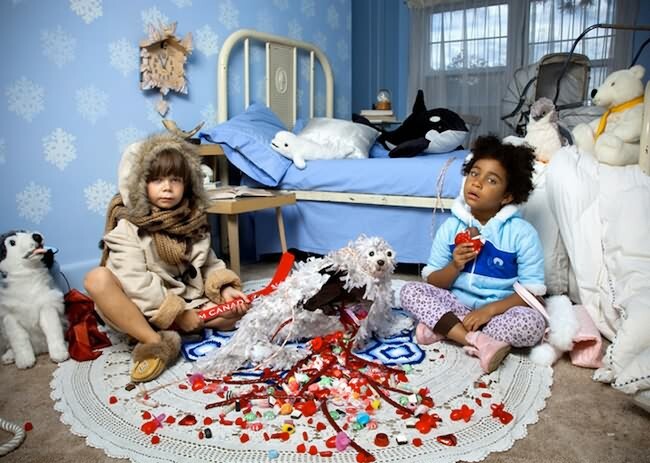 "In The Playroom" by canadian photographer and art director Jonathan Hobin is a series of images that depict children reenacting major current events and headlines of our time. 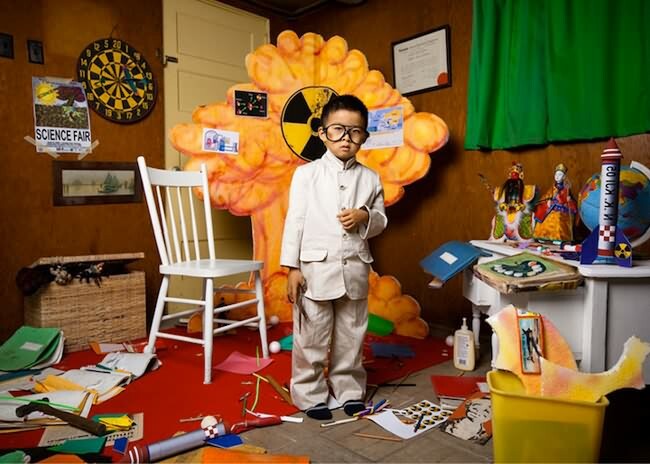 Including major news items such as 9/11, hurricane katrina, the north korean missiles, and the jonbenet ramsey trials, the collection juxtaposes the often devastating themes with the high-spirited setting of a kid's playroom. 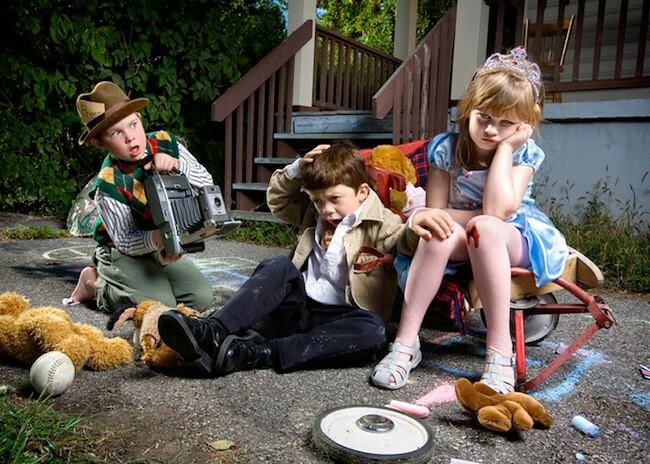 "Just as children make a game of pretending to be adults as a way to prepare and ultimately take on these roles in later life, so too do they explore things that they hear or see, whether or not they completely understand the magnitude of the event or the implications of their play", Hobin says.